Kathmandu is rich in temples, Buddhist Stupas, medieval palace and shrines. Modern day Kathmandu covers much of the Kathmandu Valley. At its heart are three ancient city states: Kathmandu, Patan and Bhaktapur. In each of these well-preserved centres, life has changed little in several hundred years. The quality of architecture, carvings and castings which survive in abundance are among the best in the world. A number of hindu and buddhist festivals are held each year in different parts of Kathmandu - as well as more widely in Nepal. 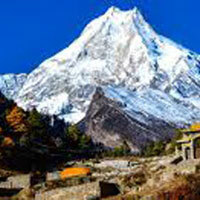 “Discovering Nepal” Tour package has been designed to take you on a journey through famous places in Nepal. On arrival at Kathmandu, begin your tour of “Nepal-The Real Beauty of Nature”. First Guest will get transferred to hotel. Rest of the day is at leisure. There Guest will have their Breakfast and Stay overnight at the hotel. After breakfast at hotel, Full Day City tour of Kathmandu, visiting temples of Pashupatinath, Bouddhanath, Swayambhunath, temple of the living Goddess and stroll through the old Durbar Square. The rest of the evening is free to enjoy exploring the markets, pubs and casinos on own. Stay overnight at the hotel. Chitwan, one of the best destination in Nepal lies 165 km south west to Kathmandu is famous for adventurous elephant riding, jungle safari, jeep safari in National park to view wild animals. More that that boating in the Rapati river as well as Tharu cultural show, village tour, etc. are the attractions of Chitwan. After breakfast take the transfer to Chitwan. You will proceed on a drive from Kathmandu valley into the subtropical Gangetic plains - the Terai region, to Chitwan. Located at the foothills of the Himalayas, Chitwan is famous for its rich flora, fauna and wildlife, especially the single-horned Asiatic rhinoceros and the Royal Bengal tiger. On arrival in Chitwan, check into your hotel. Stay overnight at the hotel. Pokhara offers hidden treasures such as mighty caves, waterfalls, gorges, and canyons, all seemingly carved out lovingly by the gods themselves. No wonder that local legend claims that Pokhara Valley was once the garden of the gods, created so they could get respite from their arduous duties by dancing their days away. After early morning breakfast take the transfer to Pokhara, you will proceed on a picturesque drive to the enchanting city of Pokhara. On arrival, check into your hotel. Later embark on a sightseeing tour of Pokhara covering - Fewa Lake, Gupteswar Cave, David’s falls, Seti Gorge, Bindhyabasini Temple and Old City. Stay overnight at the hotel. After breakfast take the transfer to Kathmandu, where on arrival you will check into your hotel. Rest of the day is free for last minute shopping. Stay overnight at the hotel. Return home with happy memories and transferred to your further destination.